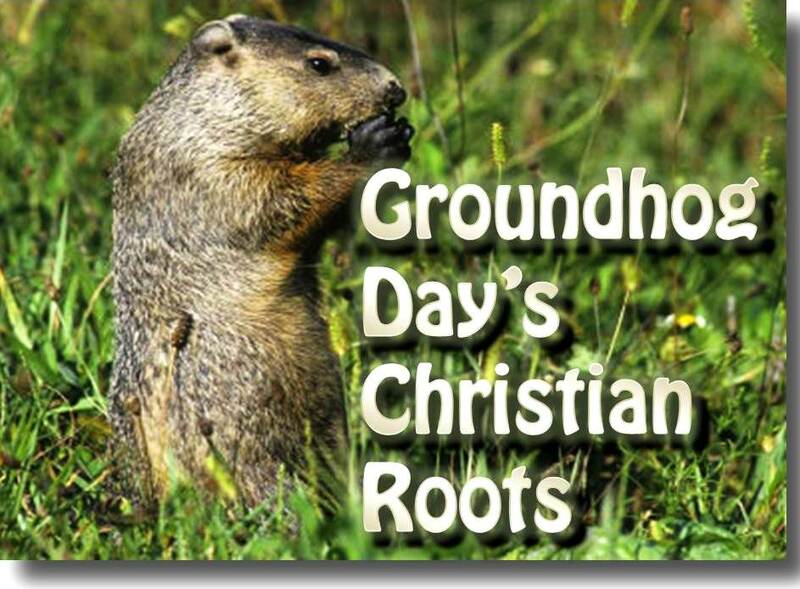 What Does Groundhog Day Have to do With Christianity? On Feb. 2, while many Americans “celebrate” Groundhog Day, most of them will most-likely being doing so without recognizing the (somewhat loose) connection that the holiday has with Christianity. What is this connection? Well I’m so glad you asked, otherwise the 45 minutes I spent Googling this up would have been wasted. In Luke 2:22-23, Joseph and Mary take Jesus to the Temple in Jerusalem to present Him to the Lord and also to give a purification offering of two turtledoves or pigeons. Leviticus 12 provides the formula that states that the purification offering be made on day 40 after the birth of a male Israelite. Now for those of you quick on the draw with the math, what little event do we celebrate 40 days prior to Feb. 2? When fourth century churchmen declared that the nativity of Jesus was to be celebrated on Dec. 25, a festival eventually evolved to celebrate his presentation at the Temple on Feb. 2. This holiday went by many names, but in the English-speaking world it was known as Candlemas (at the time of this writing, we could not confirm or refute the rumors that fourth century shopping bazaars had their Candlemas decorations up prior to Dec. 26 or that wandering minstrels played Candlemas carols before the Advent season was over). The popular name came about because many churches blessed all the candles to be used throughout the year within that church on that day. This custom also has ties to the Lord's presentation at the Temple when Simeon the prophet declared Jesus to be "a light for revelation to the Gentiles" (Luke 2:32). Then winter is gone and will not come again." This, of course, is a Middle-ages way of stating that a dark cloudy day on Candlemas would predict a short winter, while a sunny day meant that winter would continue for some time. The nice weather on Candlemas was thought to be only a brief interlude that would not last. Furthermore, it was also thought that animals able to see their shadows on this day would foreshadow a continuing harsh winter. When English-speaking settlers arrived in what would be the United States, many of them tended to be Puritans or members of Christian communities that largely rejected many of the Roman Catholic or Anglican sanctioned holidays. They possessed little desire to celebrate Christmas, let alone related festivals like Candlemas. So Candlemas failed to develop into a major religious holiday in America in spite of its link to the visit of Jesus to the Temple on day 40 of His life. Nevertheless, many of the popular customs associated with Candlemas survived in colonial America. Feb. 2 still was thought to have some significance in predicting the winter weather and Americans of European descent now transferred the animal custom of seeing its shadow to the American woodchuck (the groundhog). Slowly a popular winter festival evolved, but one largely shorn of its Christian roots. Today Groundhog Day takes its place as a growing phenomenon in the United States complete with school observances, greeting cards, trinkets and paraphernalia for purchase, and even a federally-sanctioned "official" groundhog in Pennsylvania. But now you know that Groundhog Day (at least the roots of Groundhog Day) once celebrated an important event in the early life of Jesus. The day commemorates the first New Testament promise that Christ would also be the Savior of the Gentiles. And here’s hoping the groundhogs see shadows a mile long today. With a winter this mild, who’s in a hurry to get to another blistering Central Texas summer?